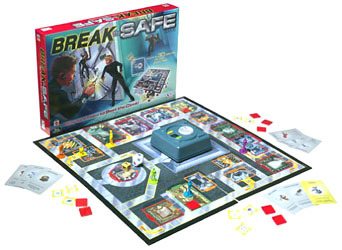 Break the Safe is the family board game where the players collaborate as one team to race against time and crack the safe. The movers resemble spies. The object of the game is to crack the safe by finding all four keys to the safe before 30 seconds time runs out. The electronic timer lets players know when time is up.